I am totally a person that has to eat every few hours. If I don’t eat frequently then watch out! LOL, Eric can all to well testify to my mood swings all based on an empty stomach! Snacks are critical for me getting by each day sanely but eating junk just makes me (and probably you too) groggy and more tired. But all to commonly ‘junk’ is so convent epically when I am on the run. 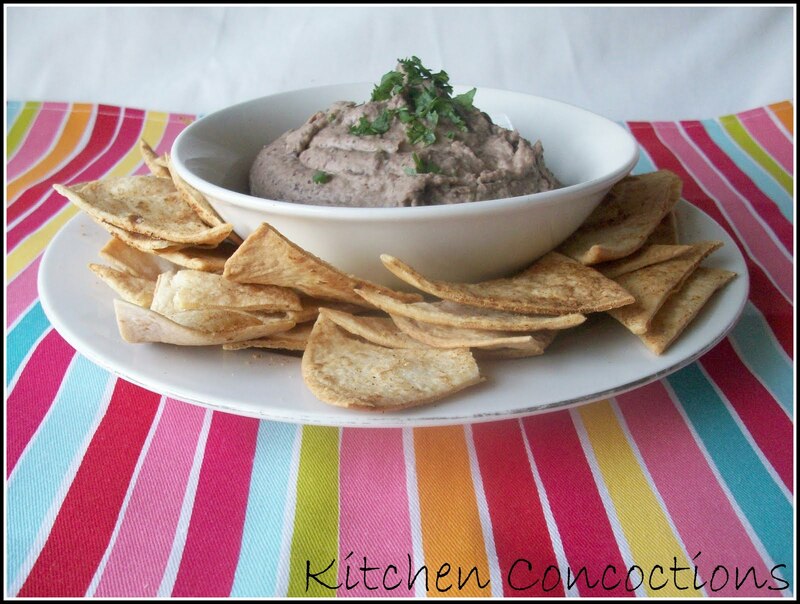 Hummus is a snack that Eric and I both enjoy with veggies, crackers and on pita bread. In fact I can pretty much say that Eric has perfected his Roasted Red Bell Pepper Hummus (our my favorite)! So naturally when I saw this version of hummus made with black beans I was excited. I always, always have black beans in my pantry because we throw them in our tacos and in our salads. This was so good and a nice change to our usual hummus snack. Smooth, and slightly spicy I paired this was some tortilla crisps that I have shared on this blog before. This was the perfect combo and the perfect (keep me from becoming the hungry monster) snack! Place all ingredients in a food processor; process until smooth. Spoon into a bowl; sprinkle with extra cilantro. Cut each tortilla into 8 triangles. Lay tortillas in a single layer on a baking sheet. Melt butter and add spices to butter. Brush each tortilla triangle with butter mixtuer. Flip each tortilla triangle over and repeat. These are such fun, healthy and creative snack ideas, Heather! I want to try them all. Thanks for sharing! 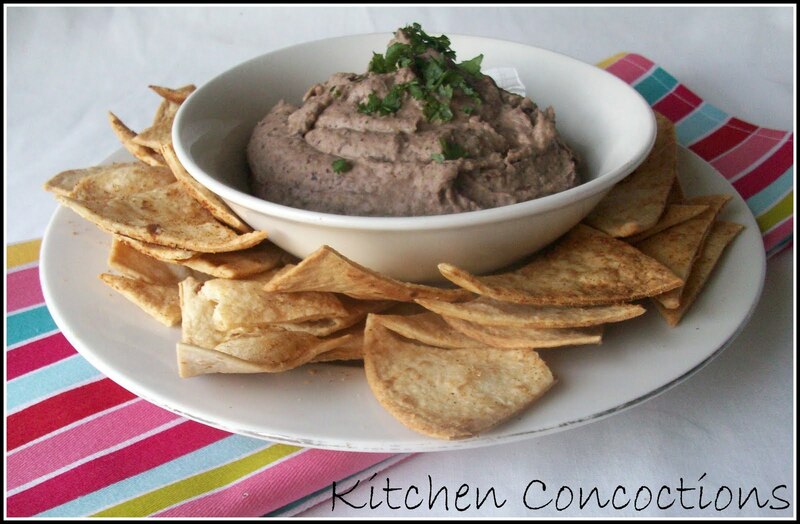 I've been wanting to make some black bean hummus for a while now. It looks so good! Good idea! I usually take hummus with bread. Now thanks to you, variations are available. It's getting boring, eating it with bread. haha.